Fiskars Essential pans and casseroles are ideal for everyday cooking. 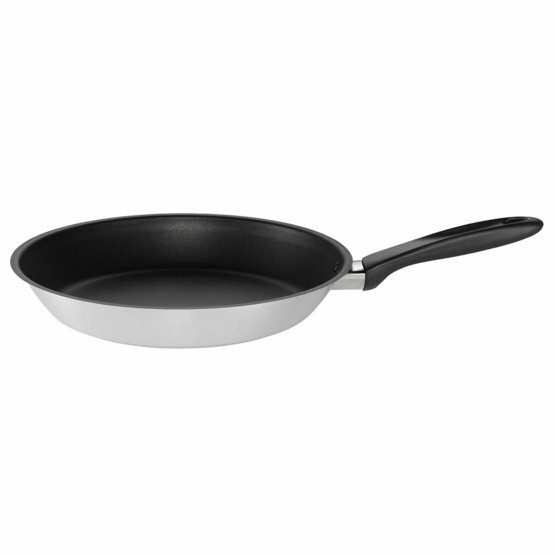 The pan is light and easy to handle. Works on all hobs. Made of stainless steel that is extremely durable and easy to care. Optimal base heats up efficiently and bakelite fitting stays cool and guarantees a good grip. Dishwasher safe and oven proof up to 150°c.